Refreshing gel based on the Echinacea Pallida extract. The high content of Echinoside extract in the Echinacea Pallida stimulates the cutaneous microcircle and therefore improves the auto regenerating capabilities of skin tissues. Moreover, the Echinacea extract stimulates the metabolism of the hyaluronic acid, an essential substance for the skin’s regenerative processes. Thanks to this extract, the Ice Gel is indicated for the treatment of cellulite, stretch marks, toning treatments and tired legs. Can also be used during the pregnancy. Instructions for use: home treatment twice a day, apply a layer of the product to ankles and legs, massaging with circular movements, starting from the bottom and moving upwards until the gel is completely absorbed. 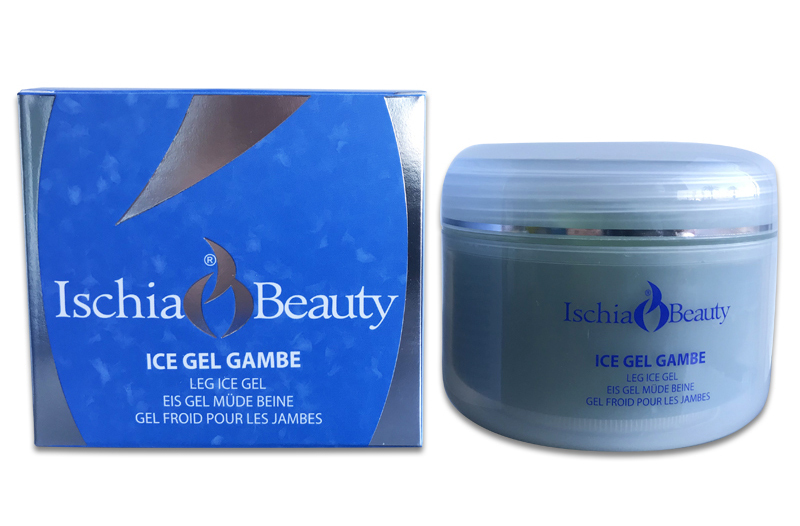 Thanks to its formula, Ice Gel is refreshing and stimulating, removing that tired and heavy feeling from the legs. Cabin treatment apply a thin and uniform layer of the product. Moisten some elastic bandages with cold water and apply a lightly compressive bandage starting from the bottom and moving upwards. Leave in place for 20-30 minutes.